Home / What are the Real Ingredients in your Burgers? On 15 January 2013, The Food Safety Authority of Ireland (FSAI) published the findings of a targeted study examining the authenticity, or labelling accuracy, of a number of burger products, which reveals that products some contained horse and pig DNA1. 27 beef burger products were analyzed, with 10 of the 27 products (37%) tested positive for horse DNA and 23 of 27 products (85%) tested positive for pig DNA. In 9 of 10 beef burger samples, horse DNA was found at very low levels. In one sample from Tesco in UK, the level of horse DNA indicated that horse meat was present and accounted for approximately 29% of the total meat content of the burger1. The meat adulteration scandal has led to numerous controversies in the press and among consumers concerning the effects of horse meat consumption, the confidence in foodstuffs, and the frauds and ethics issues in food production. Horse meat falls into the category of red meat, which comes from butcher animals (beef, pork, sheep meat, goat meat, horse meat). The organoleptic features make horse meat resemble beef. The commercial types of meat are difficult to identify as commercial cutting of both meats is similar2. So, how can we avoid adulterated food? 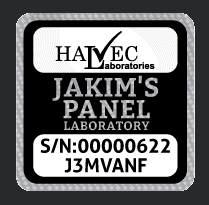 Halvec Laboratories (Halvec) is currently providing services on animal species identification via PCR assay, particularly on meat based samples such as chicken, beef, pork, horse, sheep and ostrich.